If you are going to get a tattoo in the back of your legs, go big. These are some great examples of how beautiful tattoos can be if they are done right. These come from the collaboration of Houston Patton and Dagny Fox, or “Thieves of Tower.” Each is as beautiful and intricate as the next. The human body is a canvas and these artists have proved how skin can look wonderful with a little (or a lot) of ink. The tattoos do not have a set theme or storyline, but they do follow a baroque or gothic style. They are not simple, but if you look close all of them are just a lot of little lines that form a picture. 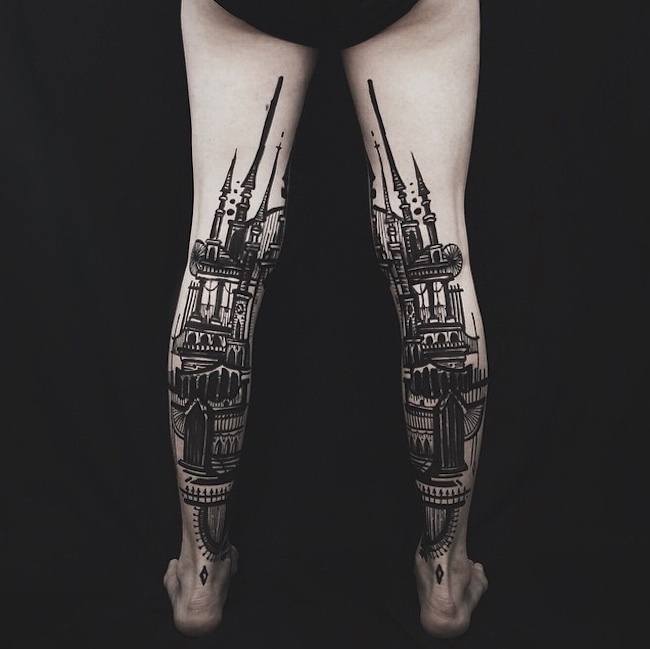 A ship could be coming out of the series of lines or an intricate tower (very much like the baroque churches we are all so fond of) could be rising up the legs. 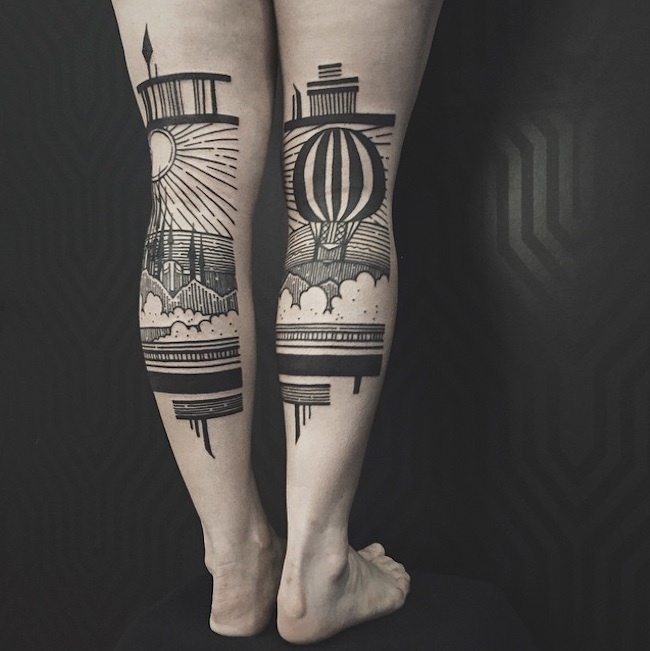 These tattoos are works of art that just happen to have a canvas that is alive. Each tattoo also has a vintage feel to it. The ship in one of them is not a modern yacht or boat, but a wonderful wooden ship perfect for an explorer. The architecture evoked by these is also ancient. Old scenes on what could be called a contemporary canvas gives new life to these illustrations.